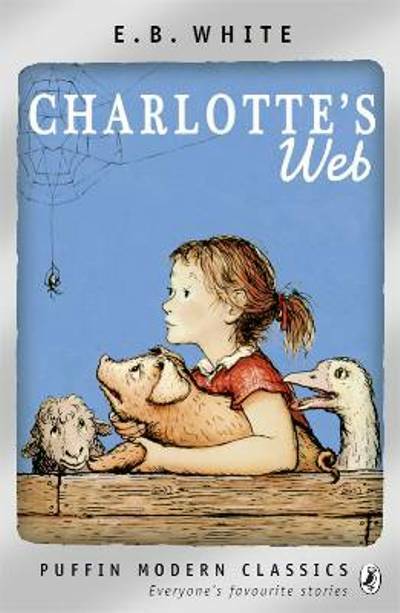 Charlotte's web is a very famous book for children but probably, as in many other children books, adults can understand better its sense of humor. In a farm, a girl nurtures a small pig called Wilbur. Eventually, Wilbur is sold to a different farm where his life is in peril (it seems that the pig is going to be sacrified for Christmas). Wilbur makes acquaintance with gooses, sheep and rats but makes friends with Charlotte, a small spider who plans to save Wilbur's life. The way the pig interacted with the other different animals brought to my mind Babe, el cerdito valiente. The stories are not the same but the atmosphere is very similar. Easy and worthy. 4/5.